Singapore Press Holdings has appointed two deputy CEOs – Patrick Daniel and Anthony Tan. It has also appointed Warren Fernandez as editor-in-chief of SPH’s English/Malay/Tamil Media (EMTM) group. 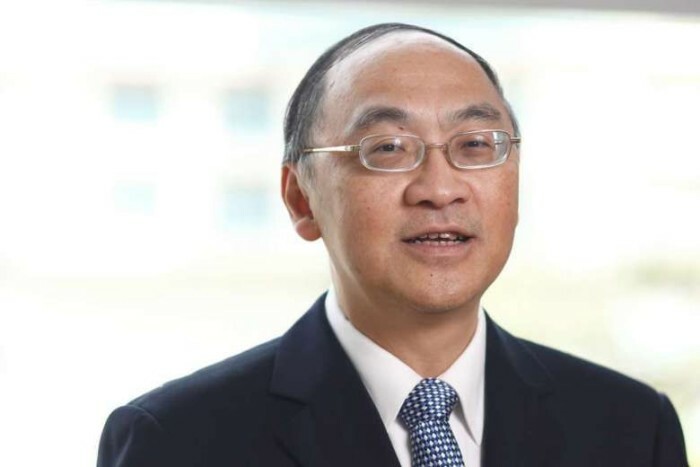 This move is with effect from 1 July 2016 and will have both Daniel and Tan report to SPH’s chief executive officer, Alan Chan (pictured). Daniel will continue to oversee the EMTM group as well as marketing, digital, information technology, legal/secretariat, corporate communications & CSR, and risk management. He has held various appointments with SPH since joining The Straits Times as a senior leader/feature writer in 1986. He became EMTM’s editor-in-chief in January 2007. Fernandez will take over as editor-in-chief of EMTM while continuing to be editor of The Straits Times. Meanwhile, Sumiko Tan, currently deputy editor of The Straits Times, will be the flagship newspaper’s executive editor. Ignatius Low will be managing editor of EMTM, continuing his role as head of SPH’s Information Resource Centre (IRC), he is currently deputy editor of The Straits Times. Tan will oversee the following divisions – production, circulation, corporate development, finance, human resources and administration. He will continue to helm the Chinese Media group (CMG) and Media Strategy & Analytics Division (MSA). He joined SPH in 2015 and was formerly deputy secretary (Policy) with the Ministry of Health. CMG publishes three Chinese newspapers in print and digital format – Lianhe Zaobao, Lianhe Wanbao and Shin Min Daily News; four student weeklies – zbCOMMA, Thumbs Up, Thumbs Up Junior and Thumbs Up Little Junior, ZBBZ Newsgazine and My Paper (Chinese section). It also operates SPH Radio’s Chinese radio station, UFM100.3, and Focus Publishing, which produces a range of books and magazines including U-Weekly. The subsidiaries’ respective boards will remain unchanged. “Both Daniel and Tan are key members of the senior management team. Daniel is a media veteran with 30 years of experience in SPH while Tan has brought with him fresh perspectives and new ideas since joining us. I have every confidence that they will be able to work closely with me to address the challenges and opportunities in our industry and steer SPH to greater heights,” Chan said. “Our media business has withstood the onslaught of many waves of digital change and innovation. But we have to speed up our transformation into a truly multi-media, multi-platform organisation that delivers value to our many customers. These are challenging but exciting times, and I look forward to my new role and responsibilities,” Daniel said. “I am honoured to be entrusted with this new role. Since joining SPH more than a year ago, I have benefitted from working with my committed and talented colleagues from different divisions on various products and projects. I am confident that I can harness the strengths of everyone and help SPH seize every opportunity to innovate, grow and excel,” Tan said. EMTM comprises the print and digital operations of The Straits Times, The Business Times, The New Paper, Berita Harian, My Paper (English section) and their respective student publications. It also includes subsidiaries Tamil Murasu, which publishes Tamil Murasu and tabla! ; book publishing arm Straits Times Press; SPH Data Services, which licenses the use of the Straits Times Index in partnership with the Singapore Exchange and FTSE-Russell Ltd; financial data company ShareInvestor; and the two English stations of SPH Radio – Kiss92 and ONE FM 91.3. IPG Mediabrands has brought Anbazhagan Elango on as the latest addition to its social marketing division Rally. ..
"Selling the idea or the desire of having the product is more important than selling the product itself. "..